Last November 5, 2013, Microsoft sealed partnership with the Department of Science and Technology (DOST)to support Microsoft’s student developer programs like the Imagine Cup. This development is expected to create a lasting impact in the community through innovative technology. 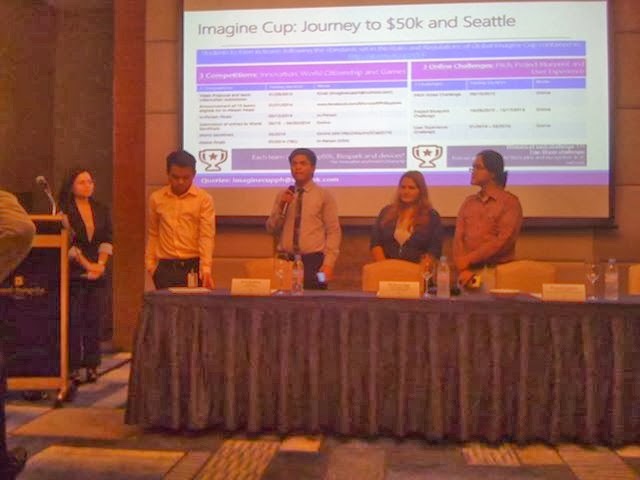 Imagine Cup is an annual competition sponsored and hosted by Microsoft Corporation. Currently on its 12th year, Imagine Cup brings together young technologists worldwide to use their imagination and passion to create a technological solution that breaks new ground and solves tough problems that face the world today. Imagine Cup provides students across all disciplines the opportunity to use their creativity, passion and knowledge of technology to create applications, games, and solutions that can change the way we live, work, and play. More than 1.65 million students from more than 190 countries have participated in Imagine Cup over the past 10 years. To date, over 1,000 young Filipinos have been given the opportunity to transform their ideas into wonderful apps through this prestigious competition. Microsoft’s partnership with DOST is part of its “Angat. Asenso.Bawat Pilipino” program which aims to align the Company’s goals and objectives with the focus programs of the government. In line with this, Microsoft has identified three areas where the Company can use its innovative devices, services, and programs to create a real difference in the country. These are with the 3Es: Educated People, Entrepreneurial Spirit, and Efficient Government.